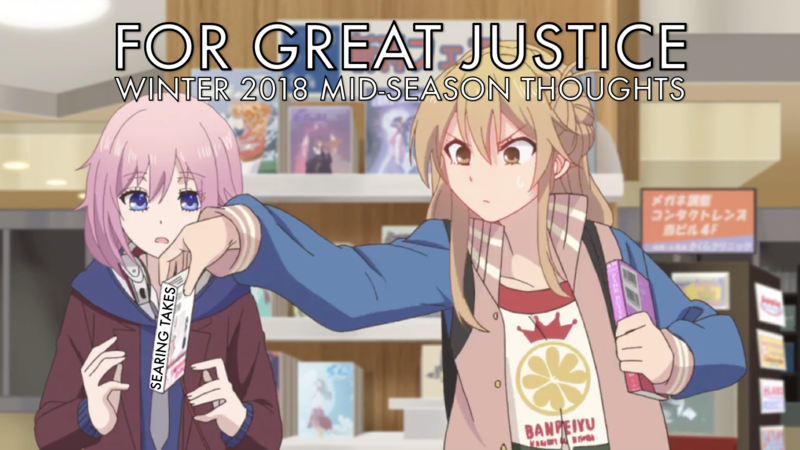 Hello, everybody, and welcome back for this mid-season update on For Great Justice! First things first, sorry for the one-week delay: Yata got the flu a short while ago and had to catch up academically, and Haru got bogged down at work and had to catch up on anime itself (some of which he just dropped, and frankly, that’s probably a good call). But better late than never! This season’s still managing to impress overall, and we’re excited to finally check in on how everything’s faring. What are our favorites? What’s falling short? And is Citrus good, actually? There aren’t too many hot takes this time, but there are a few down there, and now’s as good a time as any to check them out before we reach our final thoughts next month. Read on! It’s a new year, but here at For Great Justice, we’re the same old us. 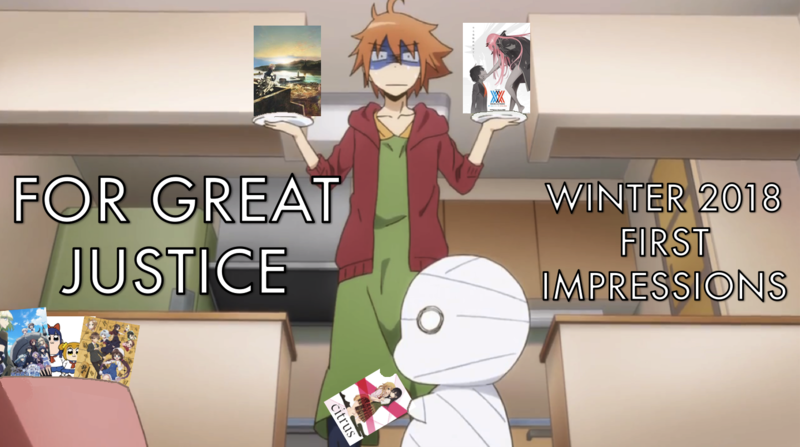 For our first post on the subject of 2018, Yata and Haru did the usual, watching a ton of this new winter season’s premieres and whipping together some initial thoughts on them. In a season defined by popcorn shows, how did the ambitious hypetrains fare? Which said popcorn shows are the best? And will we ever stop cringewatching the problematic content of the season? The answers to all those questions and more below! Let’s kick off the new year right!